Do I need to be referred to have root canal treatment? No, you can contact us directly. Also, if your dentist thinks you could benefit from this kind of treatment, you can also ask to be referred to us. Why haven’t I previously been referred for root canal therapy? Many practitioners carry out root canal therapy but have reduced success rates compared to specialists. Unfortunately, there are less than 200 specialists registered in endodontics in the country and most are in private practice. Root canal therapy is often considered to be a painful procedure, but it should be no more uncomfortable than having a normal filling and it is designed to relieve any pain you may be experiencing from pulp inflammation or infection. Does a root treated tooth require special care? When a root canal treated tooth has been fully restored, you will just need to practise good oral hygiene, including regular brushing and flossing, and see your dentist for check-ups. How long will a tooth last after root canal therapy? A treated tooth can potentially last a lifetime. Even though the pulp has been removed, the tooth remains functional as it is kept adequately supported by the surrounding tissue. What will dental implants look like? The actual implants are hidden snugly under your gum, but the replacement tooth or teeth they support will be carefully colour matched and produced to look just like the real thing. Are dental implants only used to replace single teeth? No, we can replace a whole arch of teeth with dental implants. This may involve using a number of strategically placed implants to support bridgework or dentures. Implant treatment will require numerous appointments over several months and the implants will need three to four months to bond effectively with the bone. In some cases, we can place implants and replacement teeth all on the same day. There is no upper age limit for having implant treatment, as long as you are in good health and you have adequate bone density for successful placement of the implants. Having dental implants involves surgery, so you will experience some discomfort, however, many patients are surprised that this is often minimal and short-lived. Caring for your implants is relatively straightforward. 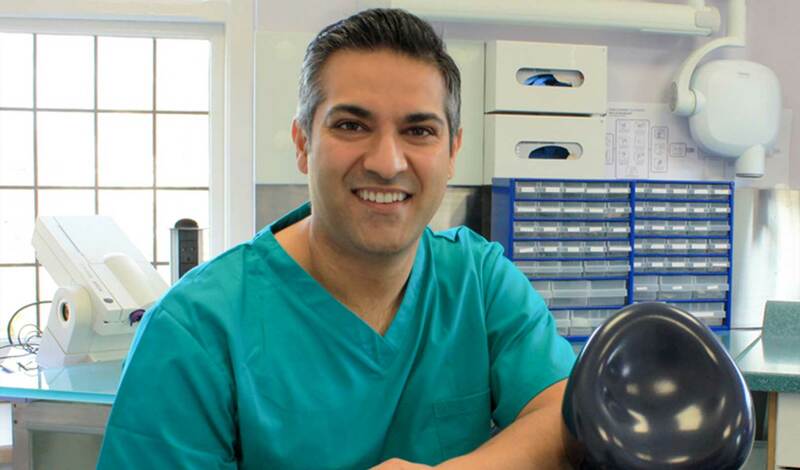 Regular hygienist visits are recommended as they will use specialised equipment to ensure the gums around the implant site are kept clean and thus ensuring no bacteria forms, which will hopefully prolong the life of your implant. Depending on the type of brace and your individual case, treatment can take between 6-18 months. Why are tooth extractions sometimes necessary? If there is not enough room in your mouth to allow for the correct alignment of your teeth, you may need an extraction to create some extra space. It is normal for teeth to be a little uncomfortable for a couple of days after a brace is fitted because they are starting to move to their new position. You can deal with any soreness by taking pain relief, such as paracetamol, but remember to follow dosage instructions. Will I still need to see my dentist? Yes. You should still attend your regular check-ups while you are undergoing straightening treatment. In fact, it is probably even more important to do so if you are wearing a fixed brace as it can be a little more challenging to keep teeth clean with braces and wires in place. Achieving attractively aligned teeth can be a substantial investment so you want to make sure they stay in their new, improved position. That’s why we advise you to wear a retainer following treatment and will help you decide which type is most appropriate for you. We will keep an eye on your straighter smile for at least five years after treatment to ensure your teeth stay neatly in place, helping you to benefit from a beautiful smile for life. 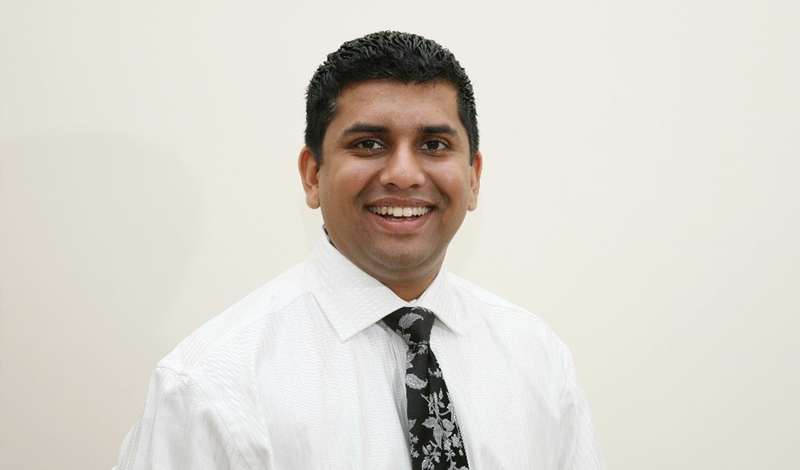 Following a comprehensive consultation, we will provide a quote (the cost of treatment with braces starts from £2000). This quote covers the whole treatment, including retainers, and we do offer flexible payment plans to help spread the cost. Symptoms typically include pain and swelling of the gum line and lower face. If infection has developed, pain may be more intense. Do I need to take special care after an extraction? Painkillers, such as paracetamol and ibuprofen, can help if you feel a little sore, but make sure you follow the dosage instructions. Try not to disturb the area of extraction for the first 24 hours by sticking to soft foods and eating on the other side of the mouth, and avoid alcohol, smoking and hot foods. After 24 hours, you can keep the socket clean by rinsing gently with warm salty water, several times a day. This occurs when the blood clot that aids healing become dislodged or does not form. This means the bone and nerve endings are unprotected, which can be very painful. If pain following surgery gets worse after two days, it could be a sign of dry socket and you will need to see your dentist. What are the long term effects of not having impacted wisdom teeth removed? These can include the movement of nearby teeth (causing ‘bite’ issues), sinus problems, the development of tumours or cysts, and gum tissue problems. Yes, we can administer sedation if you are particularly nervous about having a surgical procedure. However, you will need to bring someone with you who can drive you home after treatment. During a periodontal examination, your dentist or hygienist will be able to see signs of gum swelling, redness or bleeding. They will also use special instruments to measure the depth of the ‘pockets’ between your teeth and gums. In a healthy mouth, this depth is usually between 1-3mm. 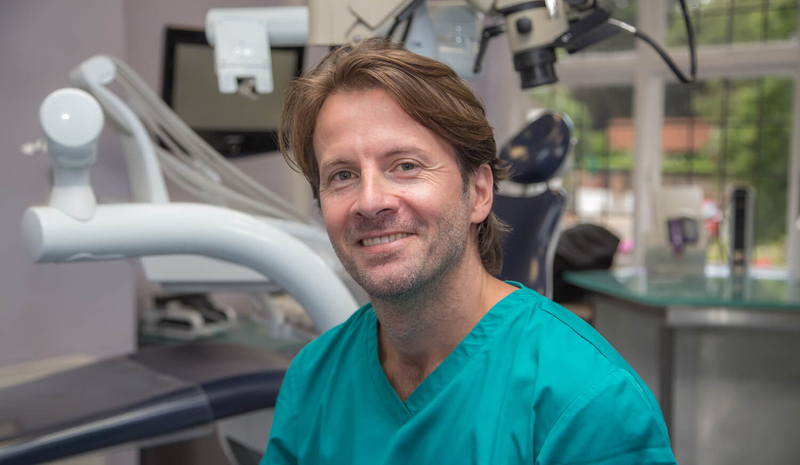 Our periodontal treatment often helps patients with a depth of more than 4mm, especially those under 40 years old and those with persistent pocketing, despite having had numerous appointments with a hygienist. Yes, if you develop an effective oral hygiene routine and this is consistently adhered to before gum disease has progressed too far. What factors can make gum disease worse? Gum disease is caused by the presence of plaque but there are a number of factors that can affect your gum health including smoking, having a genetic predisposition, stress, poor diet and hormonal changes. Certain systemic diseases, such as diabetes can also affect the condition of your gums. What is the difference between fixed and removable prosthodontics? Removable prosthodontics include complete and partial dentures, which replace missing teeth and can be taken out for cleaning. Fixed prosthodontics include restorations that cannot be removed, such as veneers, crowns, bridges and dental implants. How is a veneer fitted? A thin layer of teeth tissue may be removed to accommodate the custom-made veneer, and this is then bonded securely to the front of the tooth. The damaged tooth is shaped so the crown will eventually fit neatly with your other teeth. An impression is taken of this tooth so a tailor-made crown can be produced. While you are waiting for your new crown, a temporary one will be fitted to protect the tooth. During a second visit, the crown is checked for colour and fit, and then cemented into place. What different types of bridges are available? A traditional bridge features a false tooth set between two crowns which slot over the teeth either side of a gap. A resin-bonded (or Maryland) bridge has metal wings that are attached to the adjacent teeth and a cantilever bridge fits to only one adjacent tooth. Bridges can also be supported by dental implants. Good oral hygiene is essential to ensure your bridge offers a long-lasting solution to missing teeth. It is important to clean under the false tooth part of the bridge and to maintain the health of the surrounding teeth as they provide essential support for all types of bridges. It can take a little while to get used to new dentures, especially if they are a complete set. You may find it is hard to eat at first, so try starting with softer foods and slowly introduce more challenging items. You can experience an increase in saliva but this should soon subside as your mouth learns to accommodate your new teeth. Speaking with dentures can also be tricky but you can get used to talking with them if you practice reading out loud.